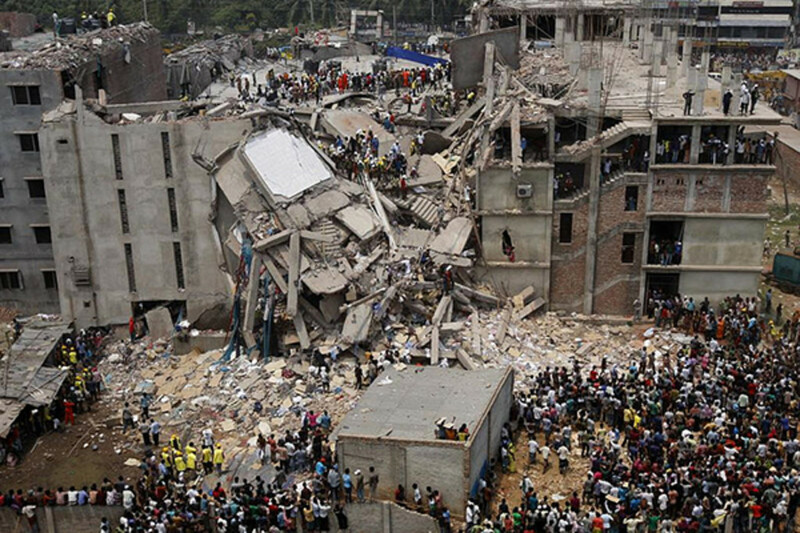 Since the Rana Plaza building collapse killed more than 1,100 people in April, retailers have faced mounting pressure to improve safety at Bangladesh garment factories and to sever ties with manufacturers that don&apos;t measure up. The world&apos;s largest retailer, Walmart, released a list of more than 200 factories it said it had barred from producing its merchandise because of serious or repeated safety problems, labor violations, or unauthorized subcontracting. But at least two of the factories on the list have continued to send massive shipments of sports bras and girls&apos; dresses to Walmart stores in recent months, according to interviews and U.S. customs records. "If Walmart were to tell us they&apos;re stopping production, if that were to happen, we would be destroyed. Our workers would be destroyed." A second Bangladeshi clothing maker, Simco Dresses, was blacklisted in January but continued shipping to Walmart Canada into March. Walmart spokesman Kevin Gardner said the Mars shipments were allowed because of confusion over whether Walmart&apos;s standards applied. Mars didn&apos;t produce garments with a Walmart house brand but instead with a Fruit of the Loom label. So, Gardner said, it wasn&apos;t clear if Mars needed to meet Walmart&apos;s standards or Fruit of the Loom&apos;s.
Fruit of the Loom could not immediately be reached for comment. As for Simco, orders that Walmart had already placed were accepted to lessen the impact on workers, Gardner said. The shipments raise questions about Walmart&apos;s ability to monitor its supply chain as well as its efforts to ensure decent working conditions in factories located in low-wage countries. Interviews with Bangladeshi factory owners spotlight another potential problem: Walmart&apos;s approach of publishing a blacklist with no further details might unfairly tar family businesses with minor violations. 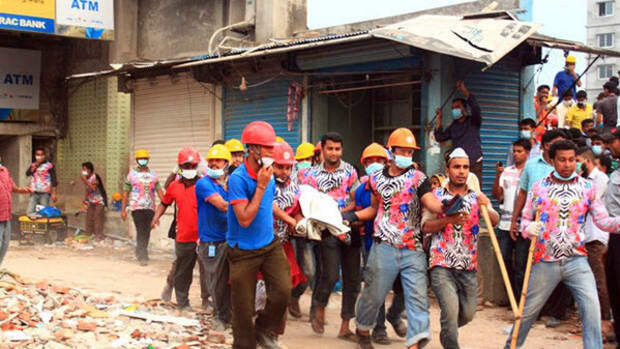 International labor groups have been pressing retailers to sign an accord to pay for fire and building safety upgrades to Bangladesh factories. So far, several large retailers including H&M, Inditex, and PVH Corp., which includes Tommy Hilfiger and Calvin Klein, have signed onto the agreement. But many of the biggest retailers in the United States, including Walmart and Gap, have not. Instead, they are working on an alternative plan that they say will improve safety faster—but that is not legally binding. "We think the safety plan that we&apos;ve put in place already meets or exceeds the [other] proposal and is going to get results more quickly," Gardner said. 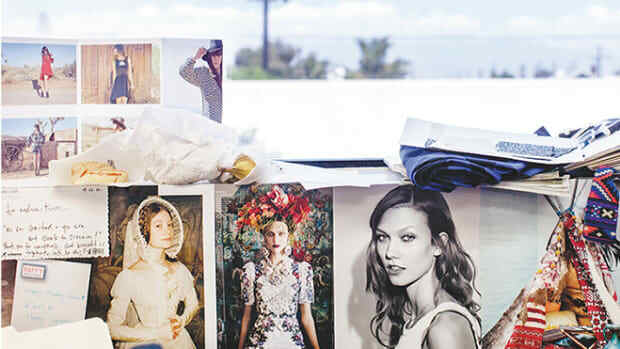 "The point of the list is to get more accountability and transparency into our supply chain." Soon, he said, Walmart would also publish safety audits of its current suppliers in Bangladesh. Dan Schlademan, a United Food and Commercial Workers leader who directs the union&apos;s Making Change at Walmart campaign, said the shipments from barred factories show that Walmart&apos;s program is hollow. "It&apos;s either a question of Walmart just telling people what they want to hear," he said, "or it&apos;s that Walmart has created a supply chain system that they have no control over." Making Change at Walmart initially provided the customs data. ProPublica verified the information and found other shipments using public data compiled by research firms serving the import-export industry. But Ahmed said that until contacted by ProPublica, he had never had any problems with Walmart or heard about its list of banned factories. He described Mars as a medium-sized garment manufacturer with less than 1,000 workers. Ahmed said Mars has supplied Walmart for more than a decade, though since 2008 it has been making clothes for private labels such as Fruit of the Loom that are owned or licensed by an importer, which then supplies the clothing to Walmart. When Mars was manufacturing clothing for Walmart brands, its factory was regularly audited by the company, Ahmed said. Walmart rates its suppliers green, yellow, orange, and red, with green being the best and red the worst, he said. "We never received a rating below yellow." 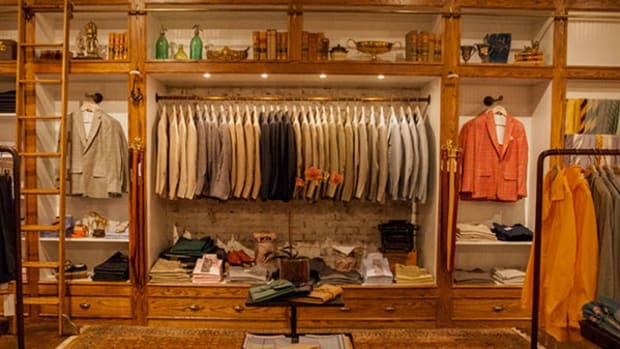 Since 2008, Ahmed said he has passed all audits by Fruit of the Loom, which uses the Worldwide Responsible Accredited Production program to inspect factories. Walmart said Mars didn&apos;t meet all of its criteria, which it said is more stringent than WRAP&apos;s. Ahmed said he welcomed Walmart to look at his factory and that the company is in the process of building a state-of-the-art facility. Walmart accounts for a "very large" percentage of Mars&apos; business, Ahmed said. "If Walmart were to tell us they&apos;re stopping production, if that were to happen, we would be destroyed. Our workers would be destroyed. We haven&apos;t had a single incident in 19 years. We never had a problem. So that would be catastrophe." The other banned garment maker in the recent customs records, Simco Dresses, was blacklisted in January. The Import Genius records show three shipments of girls&apos; dresses in February and March to the Isfel Co. destined for Walmart Canada. Isfel didn&apos;t return a call. Customs records provided by another trade research firm PIERS show four more March shipments of knitted dresses and rompers, also destined for Walmart Canada. The Bangladeshi pressreported in January that Walmart had refused a shipment of women&apos;s shorts from Simco after discovering unauthorized subcontracting to Tazreen Fashion, where a fire killed 117 people last year. Simco said at the time that Walmart&apos;s ban could drive it into bankruptcy. Simco&apos;s managing director Muzaffar Siddique said his firm had subcontracted an order to an authorized Walmart supplier, which then sent the work to Tazreen without its knowledge. Asked about the February and March shipments from Simco, Walmart spokesman Gardner said, "If it isn&apos;t an egregious matter, we will accept goods produced under existing orders as part of our efforts to mitigate impact on the workers." Siddique contended that Walmart&apos;s listing of his company is unfair and is damaging his family&apos;s business. After the list was published, he said J.C. Penney canceled a $300,000 order for 500,000 pairs of pajamas. "We are very upset about it," Siddique said. "When I do business with you, it is like a doctor-patient relationship; there should be confidentiality. Walmart has no business going about publishing people&apos;s names that it thinks are bad because that jeopardizes other business we are doing with our customers." Walmart is the only U.S. retailer to release a list of barred factories in Bangladesh. Gap, which also has a large presence in Bangladesh, said in a May statement that it has committed up to $22 million for factory improvements and that its stepped-up inspections have already led to some vendors upgrading their plants. But the company has said it would not sign on to the accord because of a provision that could allow victims of future factory accidents to sue the companies in U.S. courts. Walmart, Gap, and other large retailers are moving forward with developing an alternative safety plan with the help of former U.S. Sens. George Mitchell (D-Maine) and Olympia Snowe (R-Maine). "We are committed to Bangladesh," Gardner said. "We understand the role that we play in improving the livelihood of factory workers in that country. And improving the safety of those workers is very important to us." 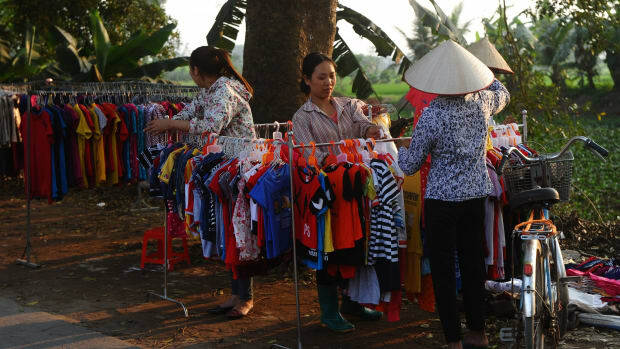 But Walmart&apos;s approach of naming factories as "red-failed/unauthorized" has led to criticism in the Bangladeshi garment community that Walmart is trying to shift blame rather than serve as a partner. "What Walmart is doing at the moment is nothing but saving its own skin," Reaz Bin Mahmood of the Bangladesh Garment Manufacturers and Exporters Association told Reuters. "As a responsible business partner they should stay with us and help improve working conditions for the safety and security of workers." 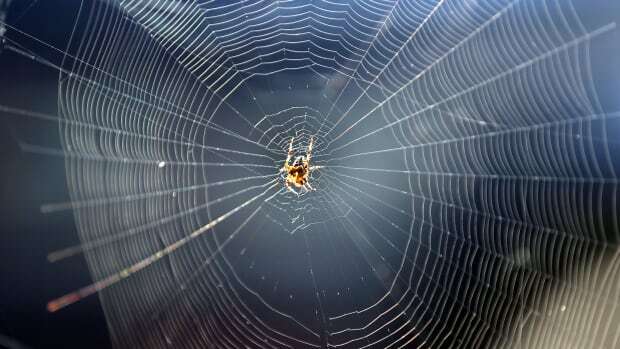 The future of clothing material could come from lab-grown leather and spider silk.